Attention all M.E.L.T. Fans! A Letter from Fred! Hope you are all well and had a good start to 2000. We need your help to get a bigger thing started. Since Friday we are presented at the homepage. and TV from 27 th of April onwards. download the MP3 track "Gunst" klick on "Playlist and Wunschliste"
Multiple klicks do not affect anything so do it only once! we need everyone with internet access we can get. all of your friends who are online. but let�s see if our worldwide network can help to bring us there. in advance special greetings to all Mother�s torch activists out there. Check out this freeMother's Torch Screensaver! 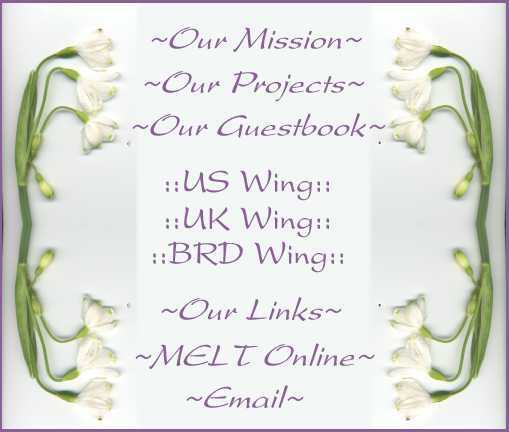 This GreenEarth WebRing site is owned by The Mother's Torch [ Prev| SkipIt | Next5 | | Random| Next] Want to join the ring? Get the info. 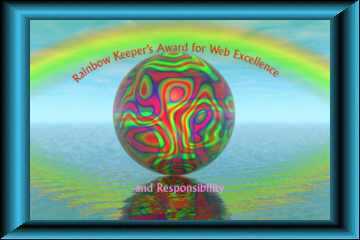 This Rainbow Keeper site is owned by The Mother's Torch . ���������� This Save Our Planet Earth Web Ring site owned by The Mother's Torch.